At the Region is an ongoing feature that discusses the state-by-state training, certification and employment requirements of first responder departments across the nation. 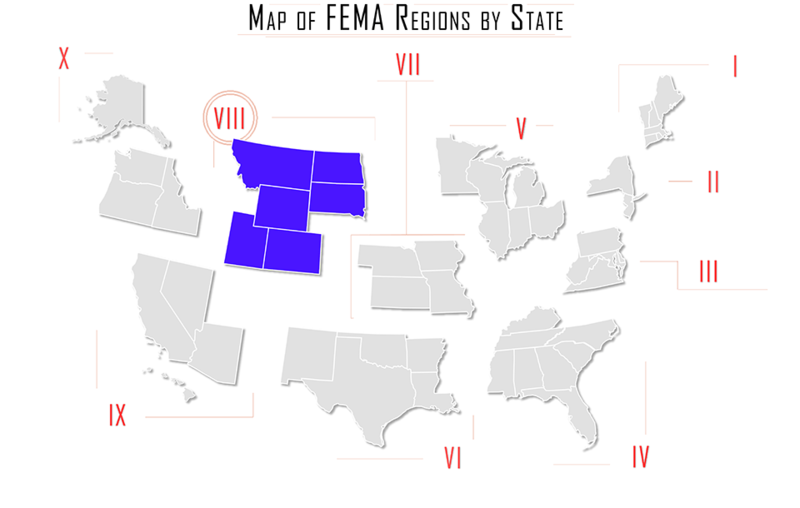 In this issue, At the Region looks at Firefighter requirements in FEMA Region VIII: Montana, Wyoming, North Dakota, South Dakota, Colorado and Utah. All firefighters must complete certification examinations and requirements within 12 months to receive certification at the level qualified. Each certification granted by CDFPC is valid for three years. • Renewals must be made every 3 years, or the certification will lapse. Firefighter II Certification in Colorado requires one year of documented fire service, and a Colorado Firefighter I certification. A written exam must be passed at 80% and the practical exam at 100%. All personnel seeking Firefighter II certification must be affiliated with an Colorado Emergency Services Agency. (7) may not have been convicted of a crime for which the applicant could have been imprisoned in a federal or state penitentiary. The state of North Dakota does not have specific legislative requirements for firefighter certification. North Dakota Title 18 covers Firefighting in the state. http://www.legis.nd.gov/cencode/t18c03.pdf?20131222095220. Each fire department has its own qualifications and guidelines for training and certification.